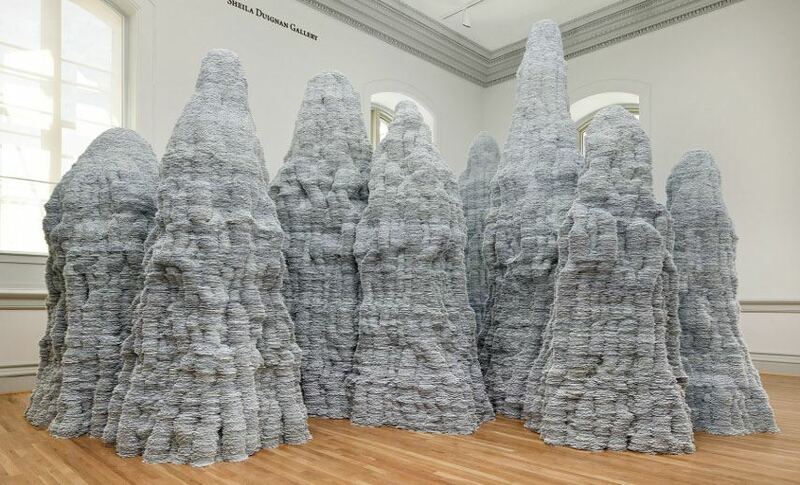 Tara Donovan is a widely acclaimed American artist who fabricates site-specific installations using commonly found materials such as styrofoam cups, drinking straws, toothpicks, paper plates and pencils. She relies on the unique properties of the chosen material, such as the transparency of scotch tape, and turns it into a driving force behind her compositions. 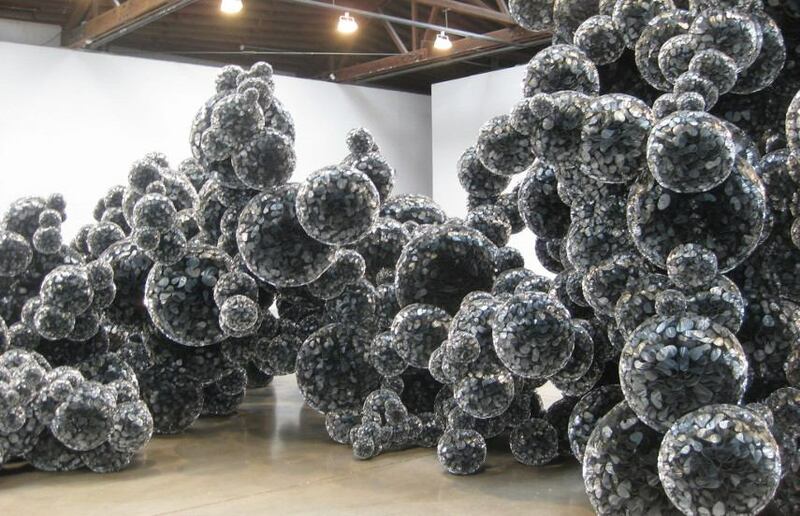 Donovan’s installations are often reminiscent of organic or molecular structures, a visual feature that became a sort of trademark to Tara’s body of work. Although her work tends to favor biological forms rather than a rectilinear grid system, Donovan’s use of singular materials and adherence to rule-based systems has aligned her with the legacies of Minimalist artists such as Sol LeWitt and Eva Hesse. 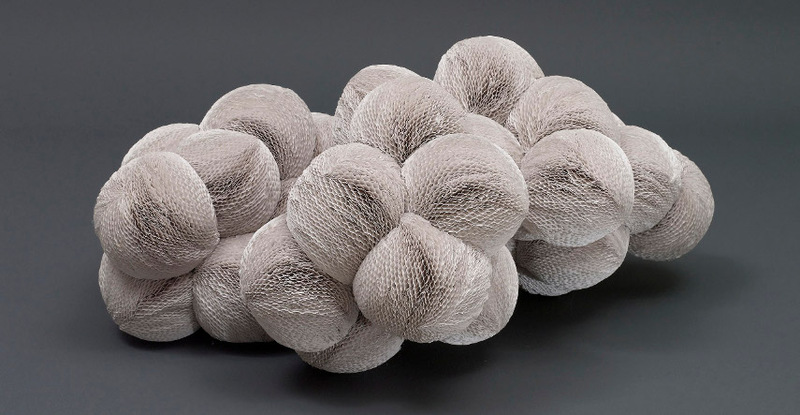 Tara Donovan was born in Flushing, Queens, during the year of 1969, and she the middle child of three siblings. However, she spent most of her childhood up in Rockland County, in a small town called Blauvelt quite close to New York City where her parents worked. Although many artists tend to start developing their creative expression early on, Tara did not start to consider herself a sculptor until she started to attend the Corcoran College of Art and Design in Washington D.C.. From that point on, Donovan began entering regional art shows to display her works until she helped create her own gallery space in an old converted D.C. nightclub called the Insect Club. In the year of 2000, Tara participated in the Whitney Biennial and, after that, she lived and worked as a waitress in New York when she finally was contacted by Doug Christmas to show a piece in the Ace Gallery in L.A.. This meeting was a breakthrough show for Donovan that led her to more opportunities and shows in and out of NYC. Tara Donovan held her first solo exhibition titled Resonances in 1998, held at Hemphill Fine Arts in Washington, D.C.. She quickly acquired a reputation of a young star in the world of art. A true refreshment to her contemporary scene that seemed to be stagnating a bit, Donovan’s work used everyday manufactured materials such as scotch tape, styrofoam cups, toothpicks and drinking straws to create large scale sculptures that often had a biomorphic quality. These were often a result of a tedious process as her compositions needed to be assembled and disassembled carefully. Interestingly, Donovan stated on a couple of occasions that she chooses the material before she decides what can be done with it, which is a very unorthodox approach to making art – but then again, her entire practice was always highly unconventional so the initial method is not such a surprise to anyone who knows this artist’s work. Perhaps Donovan’s colleague Chuck Close explained Tara’s fondness of eccentric techniques the best: At this particular moment in the art world, invention and personal vision have been demoted in favor of appropriation, of raiding the cultural icebox. For somebody to go out and try to make something that doesn’t remind you of anybody else’s work and is really innovative — and I think Tara’s work is — that’s very much against the grain of the moment. To me, it represents a gutsy move. It is not like I’m trying to simulate nature. It’s more of a mimicking of the way of nature, the way things actually grow. This concept is what makes Tara’s work so intriguing and original. It is also the reason why Donovan’s large-scale installations and sculptures made from everyday objects have earned her a worldwide acclaim. She displayed an ability to discover the inherent physical characteristics of an object and transform it into art in an unusual fashion, independent from any direct reference or influence. A visual language completely her own, the work of Tara Donovan is a true wonder of contemporary art, a celebration of how far avant-garde thoughts and bravery to experiment outside of conventional limitations have brought us. 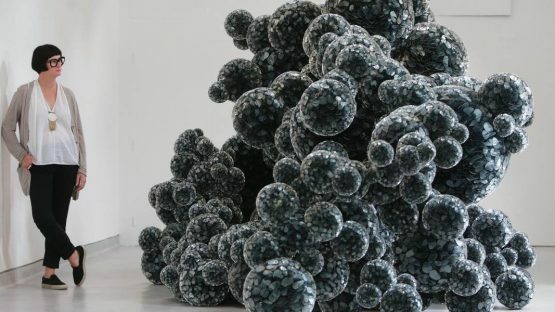 Tara Donovan lives and works in Brooklyn, New York City, the United States.